To discuss any aspect of the garden, contact them by email. Also, see their website. 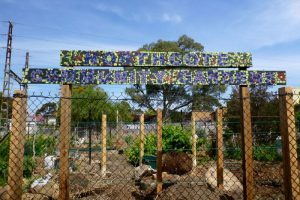 At Hartington Street, Northcote, (next to the Northcote train station). The garden has 25 individual plots, some communal areas, a pond, an orchard in the making, and a small recreational park with a basketball hoop. The park has been planted out by the community garden’s members with indigenous local plants. 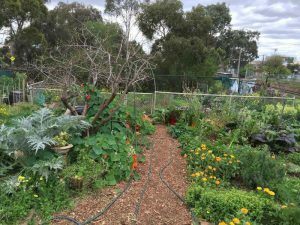 They provide space to grow vegetables, herbs, fruits and they share information on all aspects of organic gardening as well as some permaculture principles. 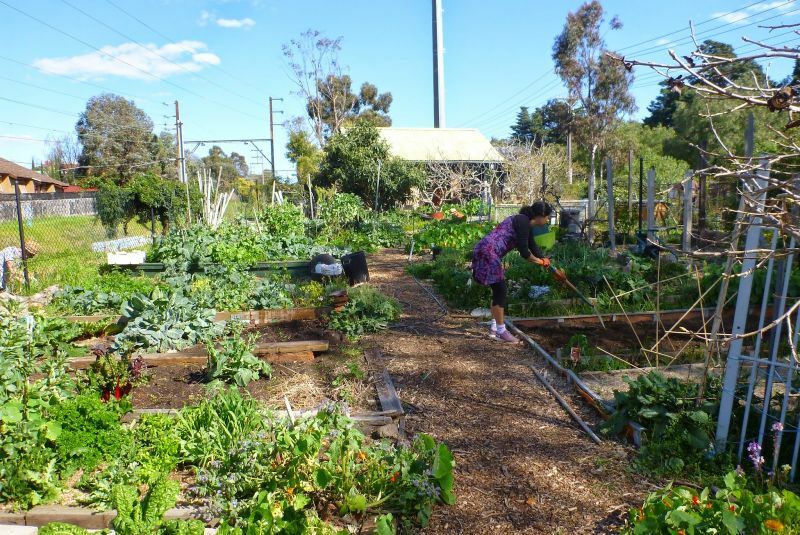 They all have different levels of gardening experience and beginners are welcome. There are around 28 members who manage the garden. All plots are typically allocated, but you can email them to be added to the waiting list. Interested members of the public are encouraged to attend the monthly working bees (see times below). Plots are rented out yearly and first preference is given to Northcote residents. They are all volunteers and the garden is managed through informal consensus with some primary office bearing roles being elected each year. Working bees are usually held on the first Sunday of each month, from 1pm. Please bring a plate of food to share for afternoon tea if you are able to.